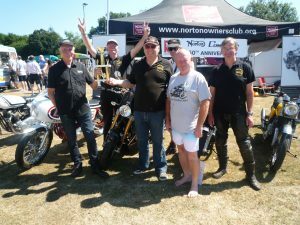 The Surrey section represented the NOC at the Warlingham Rugby Club Classic Car and Bike show which is now an annual event and it is getting so much bigger than when it was first started over four years ago. The show consists of Vintage, Classic, American Car’s, Van’s and Bikes. There were side stalls, a BBQ, the club house bar, as well as an outside bar. Live music for this event from the band was provided by The Rat Pack, and there was also a children’s fun fair. This show has some thing for every one to enjoy, if you like cars and bikes as well as a band and all the other entertainment that was provided. The event was also for raising funds for MacMillan Cancer Support This show is situated on the Limpsfield Road, Croydon, CR6 9RB. Access to the event was made so very easy by the team that help and run this event to access. 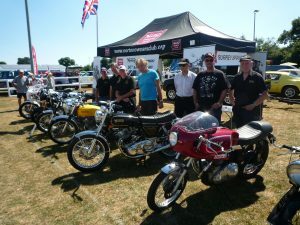 There is a web site for this event, www.warlinghamclassics.co.uk and the event is very well organised by Steve Wakeman and his wonderful team of volunteers and helpers. Steve Wakeman puts in a huge amount of time and effort to make this event one of the best in the South East. The entertainment was provided by local people and clubs making this event more of a community event that I am very sure every one who came along and visited this event had a thoroughly good time and enjoyed the whole event and all that they had to offer. 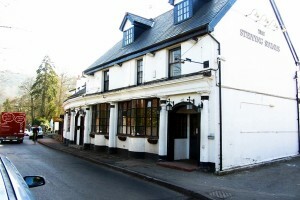 There was a blow up pub called the Crickets Arms which must have done a roaring trade, due to very hot day, as well as a fish and chip stall, which always seems to have a long queue by it? 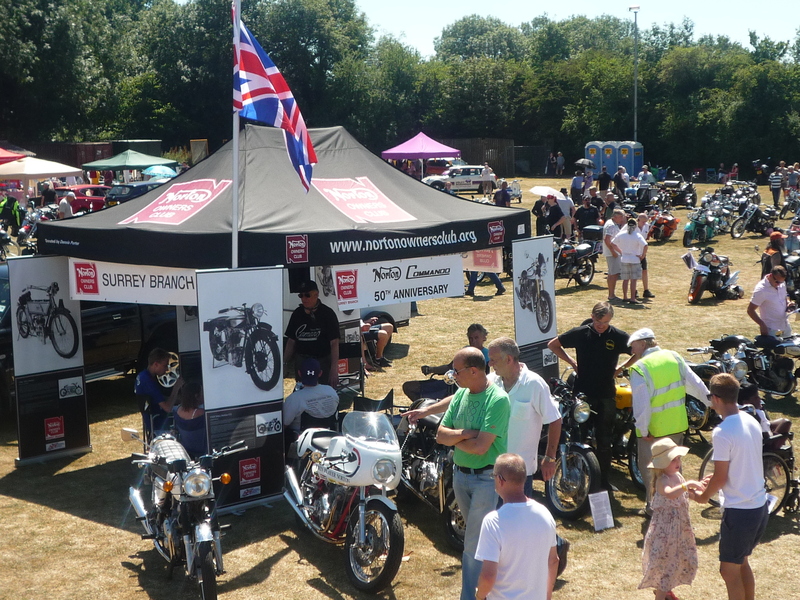 The Surrey section arrived with Simon Smith as always bringing along our gazebo, as well as his own Commando Roadster and all the other component parts that make up our stand. He was ably assisted Ken Rawlinson who was also one of the first to arrive to help with the setting up of the Surrey section stand. That Gazebo and all the chairs that Simon brought along was a very welcome escape from the scorching sun and barely bearable heat that prevailed through out the day. A very high factor sun tan lotion was required to and I was using a factor 50 to stop myself from getting sun burnt from the relentless heat. Most of us also wore Norton hats to keep out the blazing sun. The Surrey section was also awarded the trophy for the best club stand and the awards were announced at 2.30pm. 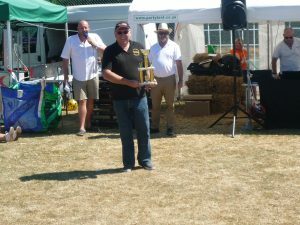 Our chairman Mike Petryszyn went up to collect the trophy on behalf of the Surrey section to hearty congratulations, and cheers from us all and the assembled audience. A photo call was promptly called for after Mike walked over proudly holding the trophy. Alas my 1974 Camaro never managed to get the best American, as this was awarded to a Mercury Cougar XR7, which was a truly stunning car. 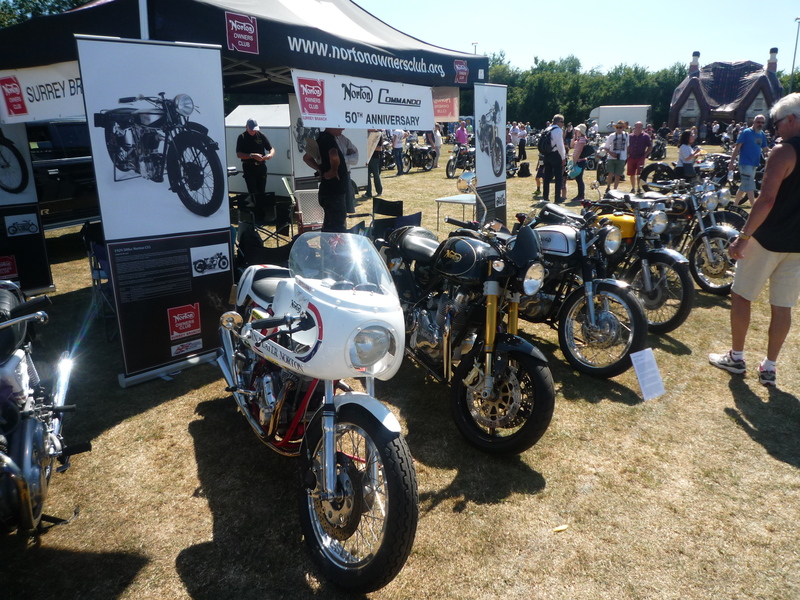 The show also had some very rare bikes arrive, one being a very rare to the UK, an Indian Warrior OHV twin, that was designed to compete with the UK built OHV twins that were being imported into North America in the 1950’s. 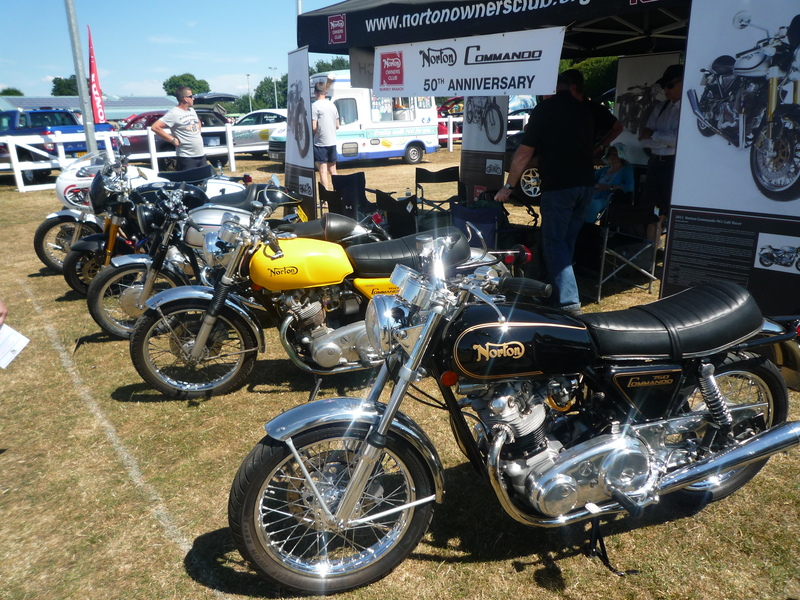 There was also an Indian four cylinder sidecar outfit that the owner rode around the bike part of the show. There was also a BSA twin that had a Honda four cylinder DOHC engine fitted in to it and this was attached to a sidecar. This was a very talented builder of this bike and it was also for sale. There was also many stunning trike’s on display, one such trike had a Ford Mustang V8, with 32 valve cylinder heads fitted to it and it was a monster. It was a stunning creation by a very talented builder, and it must be able to rip up the road and also have an incredible road presence. 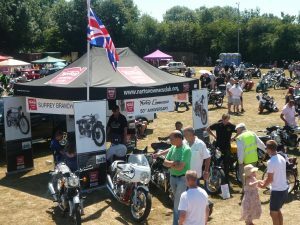 Can I also give a huge thank you to all those that came along and helped and also displayed their bikes at this show for the Surrey section? 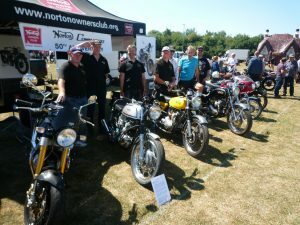 To Steve Wakeman and his team of helpers who put in so much hard work and effort to make this event a roaring success. I salute you all for your time, help, efforts and endeavours on behalf of the Surrey section. For one of our members Nigel Heugh it was a very sad time for him as his father passed away a few days before the WRC show. The Surrey section would like to pass on all our condolences to Nigel in this time of such sorrow for his family. The next WRC car show will be 14 July 2019 next year. 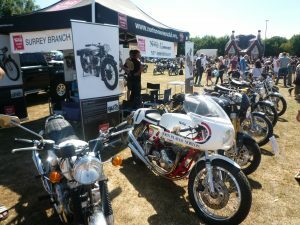 There is also the 5th annual Kenley Car & Bike show on the 2 September 2018 at the RAFA Portcullis Club, Kenley Airfield at Victor Beamish Avenue, Caterham, CR3 5FX from 10.30am onwards. The entrance is free to all, Hot Rods, and custom cars, classic cars, bikes and military vehicles. Copyright © Norton Owners Club 2019. All Rights Reserved.